Photo: Document entitled “A Reflection on March 14th” given to some students, by hand, this week, at Bethel High School. (Contributed photo.) Click on photo to view larger. 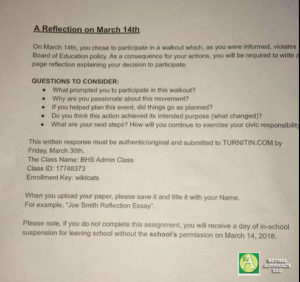 Bethel High School (BHS) Principal Christopher Troetti has confirmed that a document entitled “A Reflection on March 14th” outlines a disciplinary measure decided upon by administrators for students who participated in the March 14, 2018 #ENOUGH National School Walkout protest of gun violence in schools, by walking out of the BHS building or walking off campus. The document states that students have a choice to write an essay based on “Questions to Consider” or receive “a day of in-school suspension” if they choose to not do the assignment. 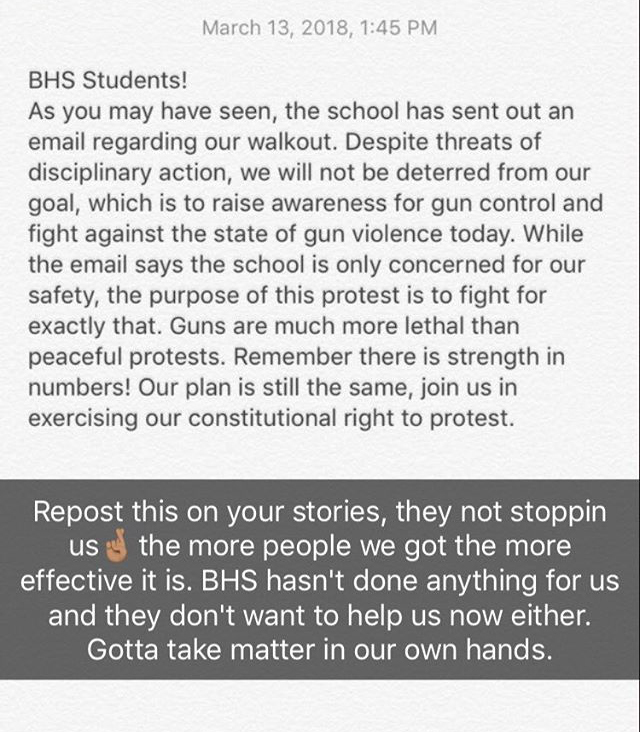 Students involved in the walkout were summoned to the main BHS office over the course of a few days this past week, Troetti confirmed, and given this document. What prompted you to participate in this walkout? Why are you passionate about this movement? If you helped plan this event, did things go as planned? What are your next steps? How will you continue to exercise your civic responsibility? 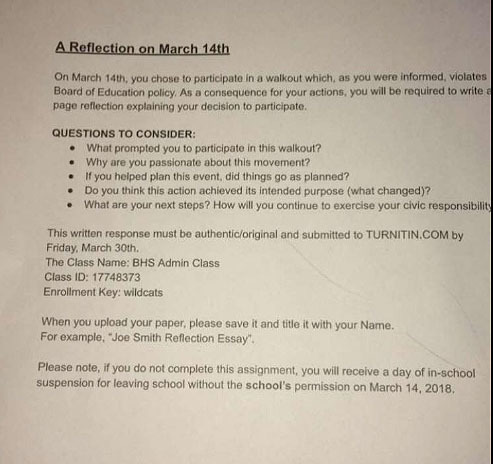 Photo above: The document issued by BHS administration and handed to students this week that details the discipline choice of an essay or suspension. Troetti did not reveal how many students were chosen to receive this document or how they were selected. It has been confirmed that some students who participated in the March 14th demonstration did leave the building during school session or left the campus entirely. “Based on some actions students took, there were some other disciplinary actions.” Troetti stated. He did not elaborate on what those offenses were or how many students were involved. 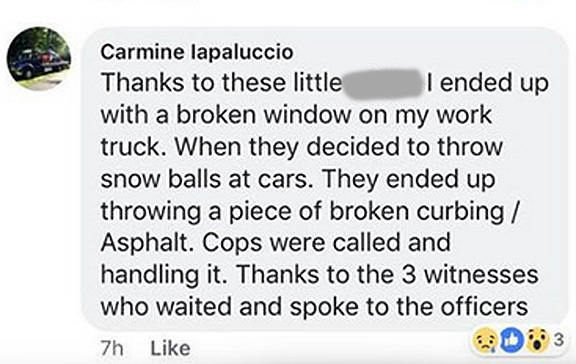 Carmine Iapaluccio, a Bethel resident, alleges his truck window was broken by students throwing snow balls and a piece of asphalt at the time of the demonstration. Iapaluccio posted a message in a chat forum on March 14th. (View image below.) Bethel police records indicate the case is still under investigation. 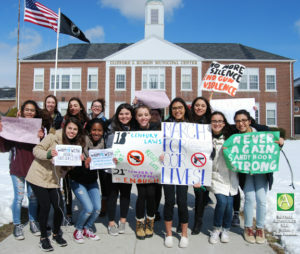 Thousands of students across the nation rallied together on March 14, 2018 in the #ENOUGH National School Walkout that was hosted by the Women’s March and Women’s March Youth to protest gun violence and to hold a memorial for the seventeen Parkland, Florida’s Marjory Stoneman Douglas High School victims. Bethel High School administrators originally agreed that students could participate in a scheduled event on the campus on March 14th. 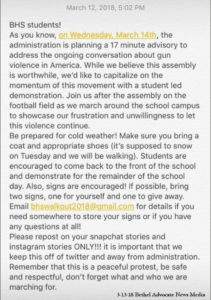 However, Snapchat student communications were discovered before the March 14th protest day calling for students to have an outdoor protest after the sanctioned school event. Image above: First Snapchat student message discovered. 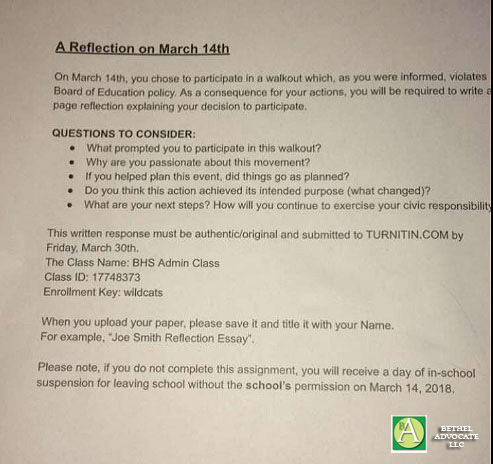 A second message was then issued to students by Troetti, indicating school policies and disciplinary measures for students that left the premises during the protest. 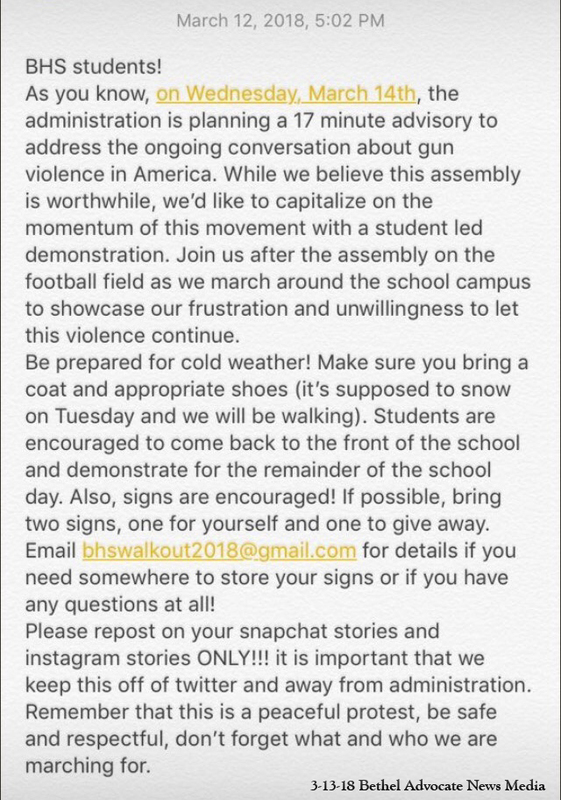 Another Snapchat student communication was then discovered that urged students to defy warnings and hold the outdoor protest as planned. Image above: Second Snapchat student message discovered. 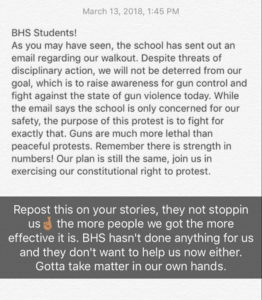 Principal Troetti confirmed that students were warned again, during the advisory, that disciplinary measures would be taken if any demonstrations occurred outside the scheduled event being held in the BHS gym on the morning of March 14th. 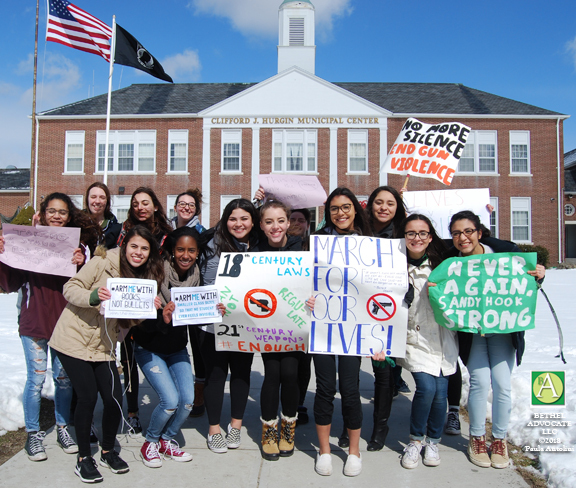 At approximately 10:30am on March 14th, approximately 100 students came flooding out of the front and side entrances of the BHS building shouting loudly “Protect students not guns,” and other phrases, and proceeded to protest on campus. 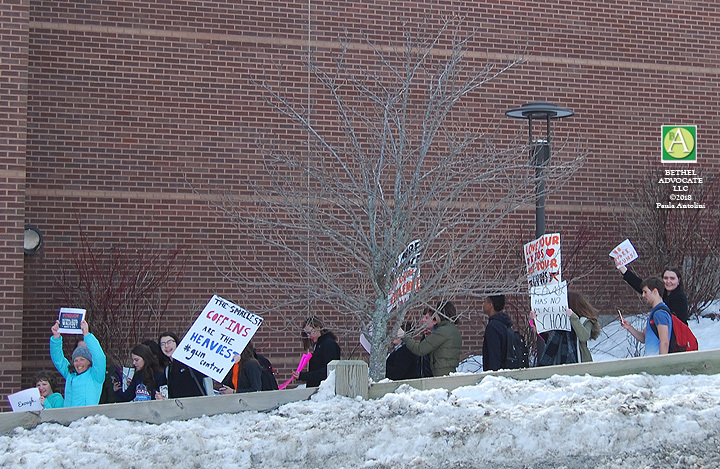 Other students walked off campus and walked to the CJH Municipal Center and beyond to protest. Some students remained off campus for several hours while others allegedly did not return to school according to some students that were interviewed. Comments made on social media indicated that parents are split on how they view the protest and subsequent response from school administration and their handling of the event. 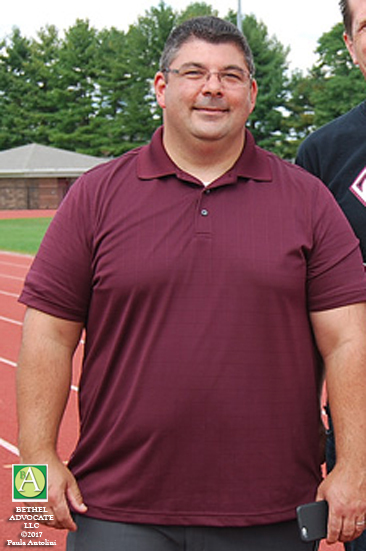 Photo above: Bethel High School Principal Christopher Troetti.